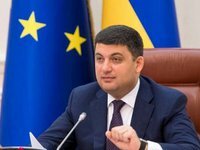 Prime Minister of Ukraine Volodymyr Groysman has said that the government would allocate UAH 100 million to eliminate the consequences of the fire and the rupture of ammunition in the warehouses of the Ministry of Defense near the town of Ichnia, Chernihiv region. "Today we will decide on the allocation of 100 million for renewal in Chernihiv region in those localities where there was a problem or there were destructions," he said at a government meeting on Wednesday. According to the premier, the relevant instructions have already been given to the local authorities to eliminate the consequences and repair the damage. Groysman recalled that the government already had experience in repairing damage after similar cases.